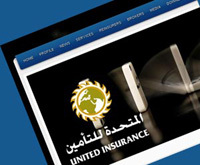 UIC has recently finished redesigning its website www.uicyemen.com both in Arabic and English. The website becomes more interactive and a window of the company's services and link to the customers. It has been developed with new interactive features and rich content that provide a wide range of options.